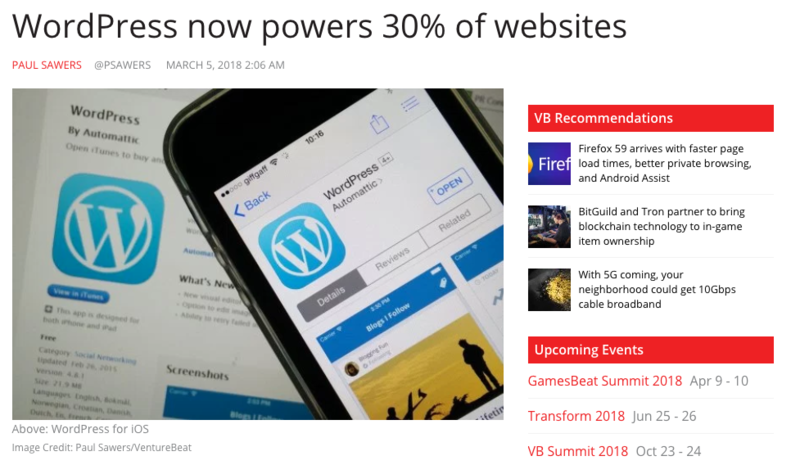 WordPress now powers 30 percent of the web, according to data from web technology survey firm W3Techs. This represents a 5 percentage point increase in nearly two and a half years, after WordPress hit the 25 percent mark in November 2015. It’s worth noting here that this figure relates to the entire Web, regardless of whether a website uses a content management system (CMS) or not. If we’re looking at market share, WordPress actually claims 60.2 percent, up from 58.7 percent in November 2015. By comparison, its nearest CMS rival, Joomla, has seen its usage jump from 2.8 percent to 3.1 percent, while Drupal is up from 2.1 percent to 2.2 percent. Does your website look out of date?